Описание: Представляем Вам современный четырехуровневый курс британского английского языка для подростков и продвинутой молодежи 12 – 16 лет. От издательства Лонгман. Материал учебника полностью построен на живой лексике, мультимедиа с более чем 130 видео, анимации и текстах интересных прогрессивной молодежи Европы. Учебник состоит из 10 юнитов, целью которых является формирование, развитие и закрепление на практике знаний грамматики, лексики и функционального использования языка в живом общении, развивая от урока к уроку языковые навыки: аудирование, говорение, чтение и письмо студенты могут проследить свой прогресс в изучении языка, благодаря страницам и разделам самопроверки. Все упражнения книги студента приведены в соответствии формата экзамена KET и PET, что позволяет успешно подготовить студента к сдаче Кембриджского экзамена. Live Beat is a new four-level course that keeps teenage students motivated and focused to achieve better learning outcomes. It builds on the successful approach used by the same authors in the best-selling Upbeat course. Native English-speaking teenagers in video blogs (vlogs) cover topics that appeal to students’ interests. Videos and animations. Videos and animations are an integral part of the course - there are more than 130 video clips in the course - so you always have material on hand to engage your teenage students. Realistic communicative activities help students to start using their English immediately. A comprehensive testing and assessment package allows teachers and students to track how well they are doing. Live Beat Takes students from CEF A1+ to B1 (25 to 52 on the Global Scale of English. Students can enter the course at any of the four levels. Levels 2, 3 and 4 include starter units to revise and consolidate the key grammar and vocabulary before moving on. Diagnostic tests, which are a part of the extensive testing and assessment package, help you decide which level to start with. The Class audio CDs contain all the recorded material from the Students’ Book. 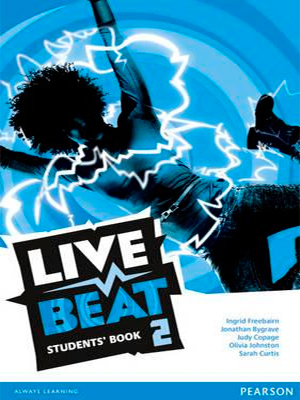 The Live Beat Workbook follows the Students' Book structure: Exercises are at two levels of difficulty to cater for mixed ability classes. Each input lesson ends with a grammar summary, with examples and simple rules. Language round-ups give extra practice and provide self-check score boxes and an audio answer key so students can check their knowledge. Skills practice pages focus on reading, writing and listening. The Live Beat Teacher's Book provides you with: Students' Book pages, Answer key for exercises, Scripts for Class and Workbook audio, Background notes. The Teacher's Resource Materials CDrom in pdf format include teaching notes, answer keys, audio scripts and background notes as well as extra activities and an assessment package. Student eText gives students access to course content on cell phone, tablet or computer, including audio, video and games. They can write notes and collaborate, search and highlight phrases and use bookmarks. The online dictionary provides an instant vocabulary check. Teacher's eText for Interactive Whiteboards makes classes lively through a wealth of multimedia materials and exercises. It keeps students' attention on the task and their heads up, rather than their noses in a book. Teacher`s eText - zoom in and out of the page, conjure up audio scripts and answers at the touch of a button, highlight words and phrases. Capture your students’ imagination with animations, video clips, vlogs and games. 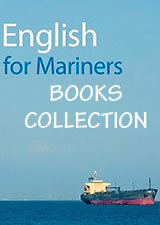 The eText also contains teaching notes, motivator worksheets, tests, word lists and phonetics charts. - Native English-speaking teenagers in video blogs cover topics that appeal to students’ interests. - Functional videos, grammar and pronunciation animations make learning effective and fun. - Interactive activities in the eTexts and MyEnglishLab keep students focused. - Realistic communicative activities help students to start using their English immediately. - Carefully structured lessons focus on both written and verbal communication skills. - Interactive functional videos activate language quickly. - Regular revision sections consolidate students’ knowledge and build awareness of what they already know. - A comprehensive testing and assessment package allows teachers and students to track how well they are doing. - MyEnglishLab improves student results and allows teachers to monitor performance.